Pioneers in the industry, we offer pope monitor speakr gl-15cx, pope gl-8a horn loaded sub-woofer speaker system, pope gl-12 cx ultra compact 450w coaxial stage monitor and turbosound milan m15 active speaker from India. 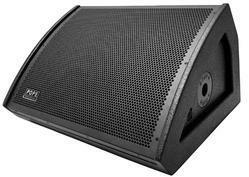 POPE Monitor Speaker GL-15CX is a compact, high performance 600w 15" coaxial stage monitor . The POPE Professional® GL-15CX is a compact, high performance 15" coaxial stage monitor combining high output and controlled dispersion with discreet, contemporary design. It features a high performance 15” (380 mm) Neodymium Coaxial driver unit mounted on a differential dispersion enclosure. Differential dispersion technology increases the area over which a constant SPL and consistent frequency response is maintained at ear height, enabling the artist to move around the stage more freely. The system incorporate two 18" transducers. The sub-woofer produces sound pressure level (SPL) of 126 dB continuous on axis at 1 meter with a power input of 1 watt and having capable to produce peak output of 132 dB SPL on axis at 1 meter. The sub-woofer can handle 2400 watts power (continuous) with 24dB/octave Butter-worth high pass filter. The sub-woofer enclosure constructed of exterior grade birch plywood. 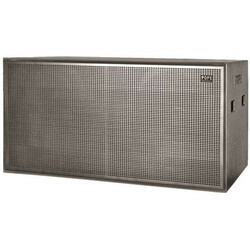 The front net of the sub-woofer covered with powder coated perforated steel grille. L-8A Sub-woofer built with flying slots for rigging. 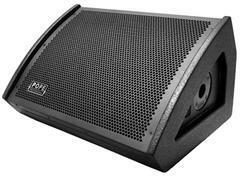 Full Range Powered Loudspeaker with KLARK TEKNIK DSP Technology for Portable PA and Installation Applications. Program* Designed and engineered in the U.K. 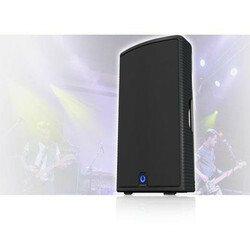 Looking for Stage Monitor Speaker ?